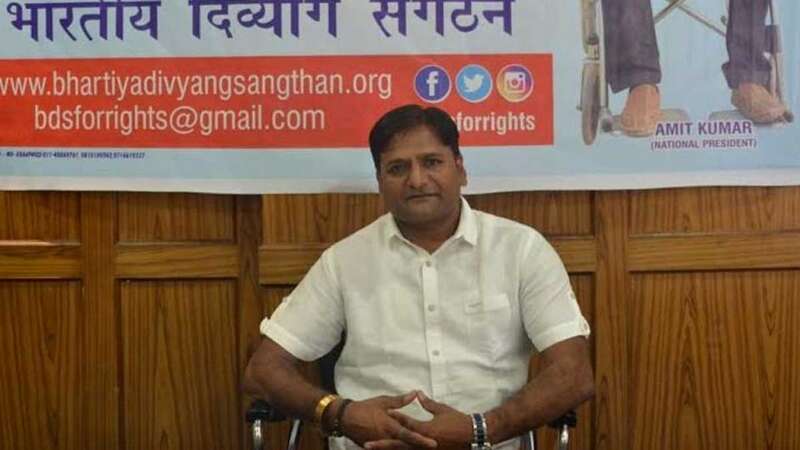 Ahmedabad : Bharatiya Divyang Sangathan will organise a Press Conference at Ahmedabad Management Association on April 2 and narrate the plight of Divyangs in the country. An activist and President of Bharatiya Divyang Sangathan, Shri Amit Kumar will address the Press Conference at 3 pm. In the media interaction, Shri Amit Kumar will highlight the problems faced and social neglect faced by differently-abled persons on a daily basis. "The administration constantly ignores the poor state of Divyangs in the country, " says Amit Kumar. The physically-challenged people have got the new name of 'Divyangs' but their life still remains as miserable as it used to be. Amit Kumar would throw light upon the hardships faced by such people and aims at drawing the attention of the administration towards them.